Well, tomorrow I leave for my first ever Convention, and if the rumours prove true, it is going to be a CRAZY time! It is held in Salt Lake City and we're travelling there from British Columbia, driving part way and then flying in. I've been madly trying to complete gobs of cards for swapping. I think I'm finally done and now I must pack. But before I go, I wanted to leave you with a couple of cards. 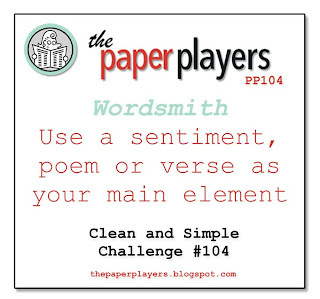 One I created for the swaps and for the Paper Player's Wordsmith Challenge. The other my daughter made while she was here for the weekend. In between all the preparations, two of my daughters arrived for an impromtu visit and brought both my grandsons. Can you say, "Grandmother Heaven"? So hard to concentrate with two lovely baby boys to hold and play with! I'll post some pictures when I get back. I thought it was so appropriate for swapping at Convention, because, aside from getting great card samples, it's all about making new friends with the same interests as you. I used the new stamp set, From My Heart. I so love the images and sayings on that set! I also used some DSP from the International Bazaar series, a base of Midnight Muse card stock and Marina Mist for the label. I'm short on time, so I'll have to add the recipes when I get back. Sorry about that! It was made using a "bundle" from the new Holiday Mini Catalogue, which comes into effect on August 1. This is the "Perfectly Preserved" bundle which includes the Perfectly Preserved stamp set and the Cannery Set of framelits! So cute, as you can see. She has so many eye-catching elements on this card and a great colour palette! It was so nice to spend some crafting time together this weekend, as she lives 11 hours away and we don't get many hours to spend together! Hope you like these little samples and I'll have TONS more to share with you when I get home from Convention in a week! Be good 'til then! Wow, your first convention---you will have a wonderful time! I LOVE the blue card---I am partial to blues, that's for sure! I can't wait to get my new mini catalog stuff, too....your daughter's card is tempting me for sure! 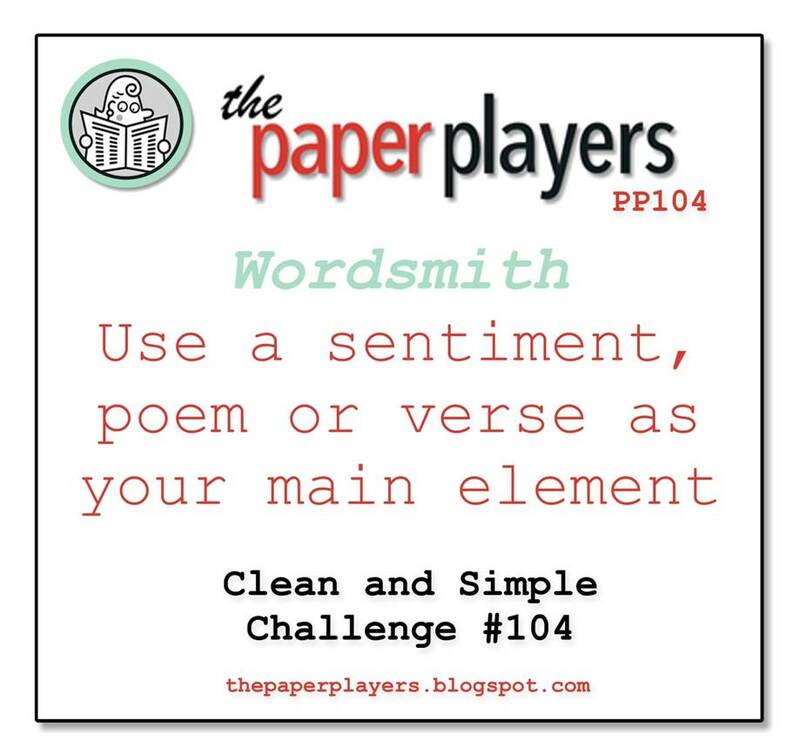 Thanks so much for playing my "wordsmith" challenge this week at the Paper Players! Happy Canada Day and Blog Candy!